UK SIM cards are easily available to tourists in the UK, with low cost calling to India. However, you may want to buy them in town rather than at the airport. The good news is that prepaid SIM cards are easily available for tourists, and there is no document of identity and address needed to buy them. They are available at the airport but they are cheaper to buy from the town rather than from vending machines at the airport. In town they are available at general stores, news agents, grocery stores and even at petrol stations. Look for this image for a SIM card. Just add the three digit prefix 413 for calls to landlines or 412 for calls to mobile numbers. Add 00 followed by the country code. Finally, add the phone number you want to call. To activate INTERNATIONAL to 2345 or call 36888 free from your Vodafone mobile. Validity 1 month. 1 month. 1 month. Other notable features/information Please top up GBP 15 to the SIM card to get above packs. Please top up GBP 10 to the SIM card to get above packs. Please top up GBP 10 to the SIM card to get above packs. 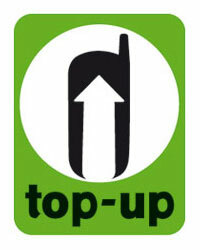 Please top up GBP 9.5 to the SIM card to get above packs. Of course if you would rather buy the SIM before travel so that you do not have to go hunting, or are traveling to multiple countries on the region, or would like to know your number before you travel, we have a UK SIM card for you!